McDonald’s is one of the bluest of blue-chip stocks… but you might want to avoid investing in the company at current levels. McDonald’s dividend yield is near its 10-year low and you should be able to put your savings to better work elsewhere. McDonald’s operates out of Illinois and employs 235,000 people. Last year the company generated $23 billion in sales ($97,000 per employee). McDonald’s stock trades at $180 per share and the overall business is valued at $138 billion. McDonald’s is within the consumer sector and has a solid credit rating of BBB+ from the S&P. This allows McDonald’s to issue debt to grow the business and finance other projects. The company needs to issue debt to stay competitive and has about $30 billion in debt. Fun Fact: McDonald’s is number two for the most locations in the world. Can you guess the number one fast food restaurant in the comments below? McDonald’s dividend history has made it one of the best dividend stocks around. The dividend yield is also a good indicator of value. Investors should avoid dividend achievers with low dividend yields. McDonald’s Dividend yield shows that investors have bid up the company’s market value. They might be expecting higher growth and payouts. 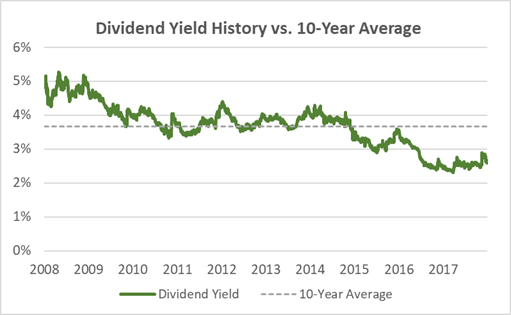 But more often than not, the dividend yield reverts to its mean with share price changes. The payout ratio is often used to determine dividend safety. 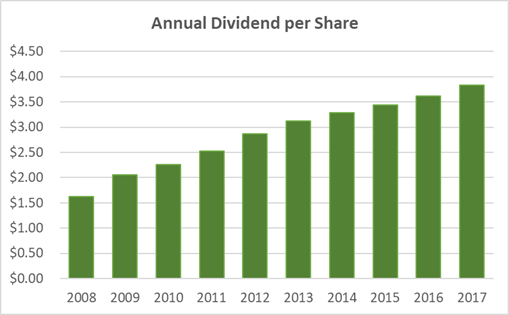 It shows the dividend per share divided by the net income per share. A payout ratio of 40% would mean that for every $1 McDonald’s earns, it pays investors $0.40. 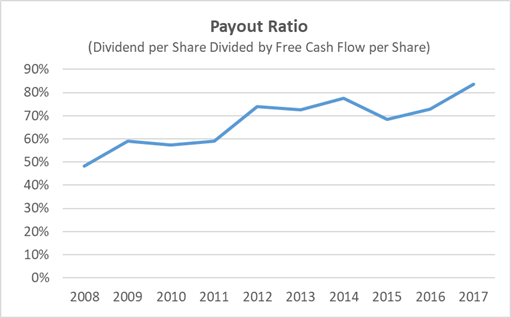 The payout ratio is a solid sign of dividend safety… but accountants make big adjustments to net income. They make changes for goodwill and other non-cash items. A more reliable metric is free cash flow. The ratio is trending up over the last 10 years and the last reported year shows a payout ratio of 83.6%. McDonald’s dividend increases might not be safe over the next few years. There isn’t much wiggle room for McDonald’s board of directors to raise the dividend. The post McDonald’s Dividend Yield Sinks appeared first on Wealthy Retirement.